Let me first begin with a brief introduction of Insomnia, as many of our readers on ‘the other side of the pond’ may not have necessarily heard of the event itself. 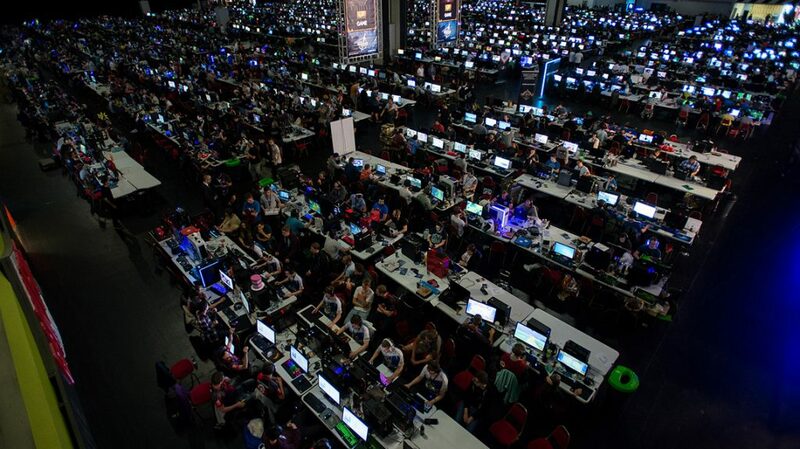 The Insomnia Gaming Festival is a LAN (Local Area Network) party like no other, and is attributed as being the largest event of its kind held in the United Kingdom. Whilst the first Insomnia held in 1999 had a mere 300 PC gamers battling against each other, the event now incorporates several differently themed zones and a massive Expo Hall. YouTube celebrities conduct meet and greets, various panels are held on the main stage, and evening entertainment such as the ‘World Famous Insomnia Pub Quiz’ are now integral to Insomnia. The festival has grown to such a scale that it is now often described as “The Glastonbury of Gaming,” which is high praise indeed. The main ‘iSeries’ are sequentially numbered and typically run three times a year, with the most recent being i60 (April 14th-17th) and the time for i61 is fast approaching (August 25th-28th). The sheer scale of these events has to be seen in person to fully comprehend them, and the atmosphere at Insomnia cannot be described with mere words. Before leaping into the event itself, I feel it’s worth sharing a bit of history on its two locations. While differences between cities is commonplace, the bitterness between the residents of Scotland’s two largest cities is one of the world’s most historic rivalries that has been ongoing for as long as anyone can remember. Edinburgh is a historical capital steeped in Royal history, whereas Glasgow’s prosperity and growth is attributed to the Industrial Revolution. One only need to walk around each city to appreciate what they both have to offer: Edinburgh is picturesque and feels old, whereas Glasgow has a modern feel and is so much more urban. Thus these two cities share a feud that has, in its own way, become a defining aspect of this nation. I bring this up, not to be petty or incite argument between the fine people of these two grand cities, but rather to give readers from outside our country some context for Insomnia Scotland. There have only been two Insomnia Scotland Festivals so far; the first being held in Edinburgh last year, whilst the second was held in Glasgow just this past weekend. I do not doubt for a minute that proud Edinburghers will proclaim that their Insomnia Scotland was superior, whilst many Glaswegians will affirm that Insomnia X Resonate was ‘hands down’ bigger and better. What the masses fail to recognize is that much like their home cities, both events were fabulous in their own right. Just as Glasgow and Edinburgh are beautiful in their own unique ways, Insomnia Scotland and Insomnia X Resonate were also exceptional events, despite their differences. Insomnia Scotland was held at the EICC (Edinburgh International Conference Centre) on April 29th to May 2nd last year. 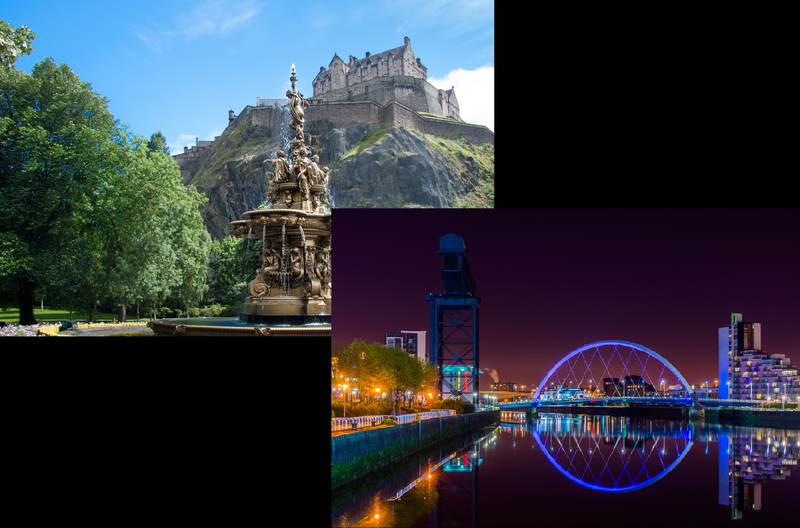 Scotland has been home to some of the world’s most successful video game developers, and the event served as an excellent way to celebrate the nation’s gaming ecosystem. 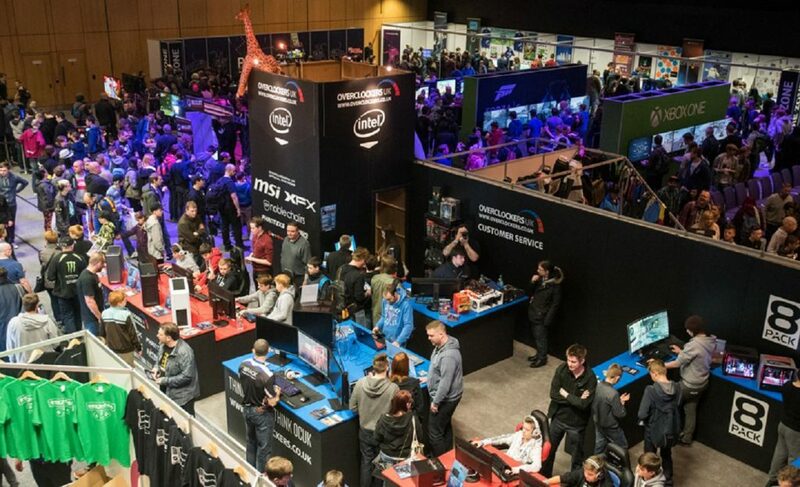 The entire EICC was transformed into an all-purpose gaming hub and contained all of the features expected from one of the larger ‘iSeries’ events, albeit on a smaller scale. Now I must admit that I am originally from Edinburgh, so this event certainly had a special place in my heart. It provided me with an excellent excuse to visit my home city, whilst also enabling me to attend an event which would usually require me travelling down to England in order to participate. While the event itself could have been advertised better, the venue was perfectly placed, mere minutes from our hotel as well as the major bus routes and train stations. Entry to the EICC was handled very well, with security constantly present without ever invoking a feeling of foreboding. Once inside I was treated to a very unique layout, with different zones placed on different levels of the multi-story building. The BYOC (Bring Your Own Computer/Console) zone, for instance, was fantastic. Gamers could purchase a BYOC ticket with indoor camping for the ‘True Insomnia Experience’. This ticket provided you with your own reserved gaming area for your equipment, and rental PCs were available if you did not wish to transport your own gear to the festival. The BYOC area was off-limits to non-ticket holders, but from what I saw, the gamers there were having the time of their lives. Needless to say, a BYOC ticket is on my bucket list now. The most memorable moment of Insomnia Scotland 2016 for me was attending The Dark Room, which was an absolute blast! Acclaimed for being the the world’s only live-action video game, my partner can attest that you do not have to be a gamer to enjoy the show. John Robertson is a first-class comedian and puts on an exceptional show, just keep in mind that The Dark Room is not intended for younger audiences due to language and content. The same can be said of John’s social media presence, he is very much an ‘adult comedian’ so, if you are easily offended, he will likely not be your cup of tea. With that being said, he tours internationally on a regular basis and I highly recommend trying to catch #THEDARKROOM if it just so happens to visit a venue near you. Whilst the Expo floor provided me with a excellent way to see the latest and greatest that video games had to offer, as well as enabling me to snag some Insomnia swag, the vendors did not feel that they overpowered the gaming zones. Each themed area was carefully planned out, with every single possible type of gaming occurring at the event: fighting games, FPS, racing, Minecraft, Rock Band, Indie titles, the list goes on. There was even an excellent table-top presence, with various card-based games as well as the venerable D&D being played every day. 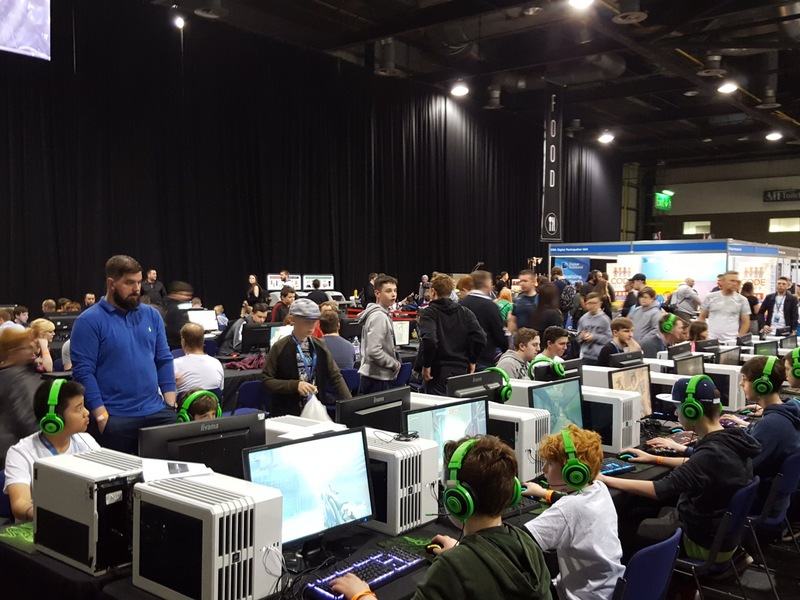 The first Insomnia Scotland Gaming Festival had certainly set the bar high, and I was extremely happy to have experienced it firsthand. The advertisement for this year’s Insomnia was a vast improvement over last year. I knew well in advance when and where the event was occurring, which enabled me to apply for a press pass nice and early. For 2017, Multiplay teamed up with Resonate to hold the gaming festival at the SEC in Glasgow from July 21 – 23. While the Scottish Event Campus is a significantly larger location than the EICC, Insomnia X Resonate was allocated Hall 3 (specified for a capacity of 5,000 people) whilst BRICKLIVE secured the neighbouring Hall 4 (double the size with a capacity of 10,000 people). Despite this year’s Insomnia being clearly larger than the last, it felt smaller due to being dwarfed by the neighbouring event. The limitations of the SEC were further evidenced by the festival not having the staple BYOC area, instead the event ran from 10:30 a.m. to 6 p.m. each day, which, in my opinion, does not exactly live up to the tradition of the Insomnia namesake. While exhibitions, panels, and vendors only stay open during the day at any other Insomnia Festival, the BYOC gamers tend to stay up all night long playing to their hearts’ content. With that said, though this key ingredient was missing, the event itself was still outstanding. Upon checking in to to claim our Press Passes, we were immediately greeted by Helen Doherty (Marketing Manager for QD Events). Helen was extremely friendly and offered to provide any kind of support we required whilst we attended the event. With that said, we were too excited to hold ourselves back and immediately ventured into the hall. The first order of business was to record a live stream/tour of the show floor, and then take as many photographs as we could before the crowds got out of hand. As you can see above, there was certainly plenty of merchandise to be had, but the focus was still clearly gaming. The show floor had plenty for gamers of all ages, with VR appearing to be the one area that consistently had the largest queues. The Turn Up & Play Tournament area was also exceptionally popular, with sign-ups on Saturday being full booked in mere minutes of the event opening. The Retro Zone had everything from old Atari boxes to the Sega Dreamcast and the more recent Nintendo GameCube; those spaces however were immediately occupied by savvy families, who appeared to hold on to those seats for the entire day. The key headliners this year were ProSyndicate and Terroriser, who were available for ‘meet and greets’ on Day 2. Both gents were extremely popular and the attendance on Saturday was significantly higher than that of the Friday — primarily, I believe, due to them being present. There were several other fantastic content creators at the event, with each and every one of them participating in various panels and activities throughout the weekend. Insomnia X Resonate was a very different experience in comparison to Insomnia Scotland — not better or worse, just different. While I initially thought that the lack of the BYOC area would cripple the event, the atmosphere was still vibrant, albeit only until 6pm. Though I initially felt that the event was smaller than the last, that is only if you factor in the BYOC area; as there were clearly many more vendors and merchandise on offer this year. I did not, however, witness any D&D being played this time around. Regardless, I am extremely happy I was able to attend the event this year. So far I am 2/2 in regards to attending Insomnia Events being held in Scotland. Insomnia Scotland 2018: Where to Next? If you were hoping for a definitive winner between the two events, then I can only apologize for not providing that. They were both most certainly ‘the best of times,’ although they each had different personalities, much like the cities that they were held in. I love Edinburgh and Glasgow for their unique characteristics, but would never be so bold to claim that one is better than the other. The same can be said for Insomnia Scotland versus Insomnia X Resonate, their similarities as well as their respective uniqueness made both festivals exceptional experiences. The ‘worst of times’ was having to leave once the event finished, or perhaps it was the sheer exhaustion I experienced post-Insomnia. 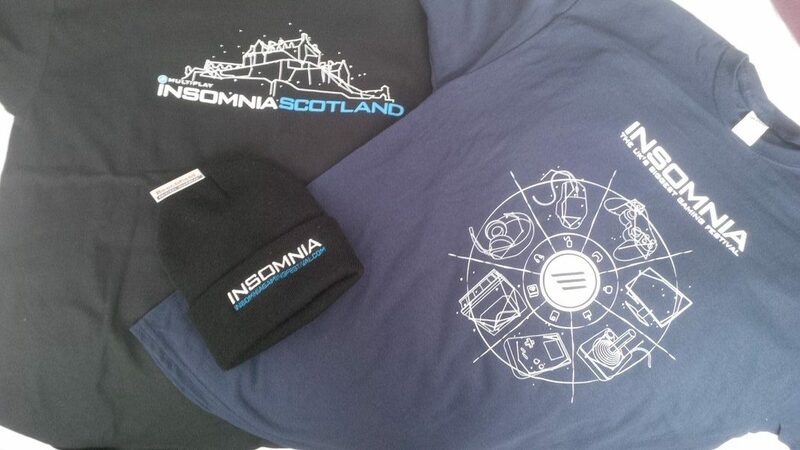 The question that lingers, however, is where will the next Insomnia event in Scotland be held? Whilst either Glasgow or Edinburgh are obvious choices due to major transportation links (airports, trains stations) as well as having suitable venues, it would be nice to see one of the other Scottish cities host the show as well. We can only speculate where it will be until the official announcement next year. I just hope that in 2018 I will be able to experience the full weekend with a BYOC ticket this time around. Next articleJungleDrums: Ep24 – RIP MS Paint, PUBG tournament, & more!